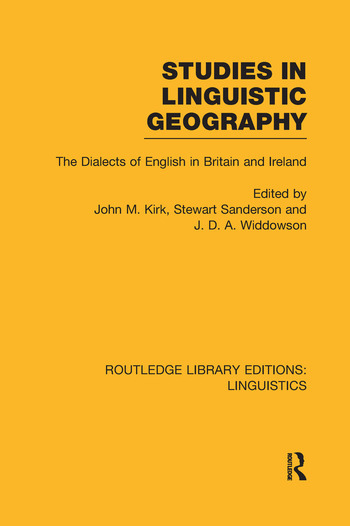 The publication in the past ten years of linguistic atlases of England and Scotland has not only advanced our knowledge of the lexical and morphological variety inherent in the English language, but has made it possible to establish a number of methodological principles for the study of language both in its contemporary distribution and in its historical evolution. The essays in this volume, by contributors to the linguistic atlases and other dialectologists, describe some of the problems that bedevil the study of dialect and the methodological solutions employed to minimise them. They also survey the contributions that linguistic cartography can make to the study of English and of language in general. The considerations it embodies are of major importance for the student of language and, in addition, the book is an invaluable companion to the Atlases.